To be asleep is to be oblivious to being oblivious. The danger of sleep is the danger of carbon monoxide: it’s colourless and odourless, and you’re anaesthetised before you know it–before you ever hit the floor. And for the follower of Jesus, it’s just as dangerous–because the Christian who is “asleep” is spiritually unreceptive. If anything will be our undoing, sleep will. In this thoughtful, engaging, challenging book, Rick James dives deep into the New Testament’s teachings on spiritual wakefulness, calling Christ-followers to defy the darkness and remain awake as they await Christ’s return. Because being awake–continually in prayer, watchful for God’s will, expectant of open doors, cautious of sin, desiring to serve, eager to repent, continuously giving thanks, willing to witness, embracing of humility, overflowing with kindness, persevering in obedience–changes everything. 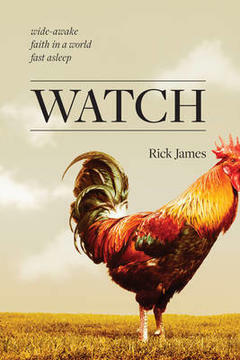 Watch is a book which aims to call all Christians to a wakeful state whilst awaiting for Christ’s return, because to be awake, as in continually praying, cautious of sin and so on, will change everything and make the believer spiritually strong in facing all that Satan can throw at them, as Luke 21:36 reminds us. Rick James, thinks a great deal about how he can present Jesus to college students and how each person can take Jesus into his or her everyday life. He has degrees in theology and advertising both of which he applies in his work through the use of humour and metaphor, topped with biblical substance. When I first saw the title of this book I was excited to read it, thinking that it would give me a new insight into how to improve my own faith in everyday life. However, I was somewhat disappointed with the book. James’s attempt at humour was lost on me and I found it was not necessary in some areas. For example, in chapter three he says “There’s really no way to go through Ephesians 6:10-20 verse by verse in … a chapter.” and then he finishes with a quip “Not gonna happen”, a comment implied by the first statement and thus superfluous. When I read that he is always thinking of ways to present Jesus to college students such statements made more sense and explained the style of writing more – it sounded like it was aimed at a younger audience so the way I read it would affect my reception of it. In spite of the things that irked me with this book, because I was reading it with an older set of eyes and with a theology degree myself, I can see that there is a great deal of value within it, particularly for college students or those new on their Christian walk. 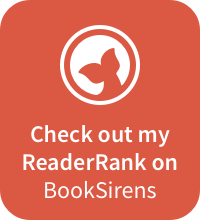 I would certainly recommend it for younger people to help them understand how to help keep their faith strong. I received a complimentary copy of the book for review purposes from Tyndale House.